Phnom Penh hospitals, doctors and clinics, reputable pharmacies, pediatricians, and dental care. Medical care in Phnom Penh has come a long way, and the quality of care is now pretty good! If you have a major medical issue, though, many expats still recommend going abroad for medical care. Read our in-depth report about medical care in Cambodia. Below you’ll find our recommended Phnom Penh medical care providers. The new Royal Phnom Penh Hospital is Thai-owned and pretty slick. But it doesn’t come cheap! In Phnom Penh, Thai-owned Royal Phnom Penh Hospital (formerly Royal Rattanak Hospital) is the best international hospital in town, but it’s not cheap! You can see Khmer doctors there for less than the foreign doctors charge, but it’s still fairly pricey. Unlike their Siem Reap counterpart, they charge one price for all foreigners (so no discounts for expats) and a reduced rate for Khmers. They have a large number of Western, accredited doctors, although their promised neonatal intensive-care unit (NICU) has not yet opened. 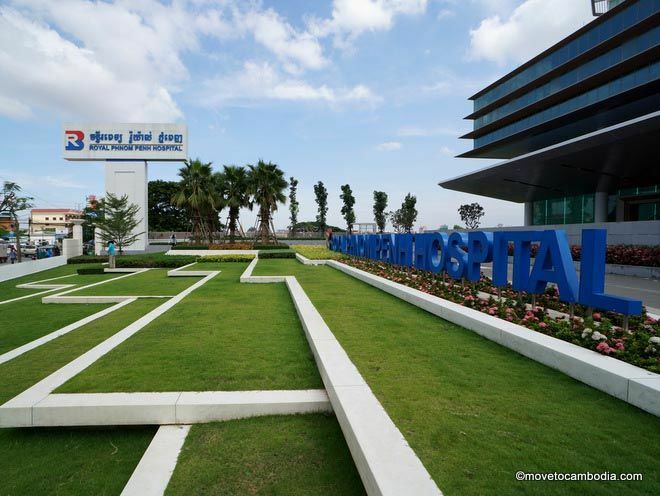 A less expensive option that expats still trust is Sen Sok University Hospital, although they charge foreigners more than double what they charge Cambodians. Sen Sok Hospital claims to be international standard, and while that’s possibly true, they don’t specify exactly where internationally they’re measuring themselves against. Vietnam, maybe. Dr. Ivan Metala at Sen Sok Hospital is popular with expats; originally from Russia, he has trained in Germany, Poland, and France. Khema Clinic and Maternity is the new popular spot among expats for prenatal care and, for those looking to have their baby in Cambodia, childbirth. The clinic has lots of doctors on staff and offers a full range of medical services, including vaccinations and emergency care (they even have anti-venom on hand). They’re an expat favorite due to the good quality of care and reasonable prices. A visit here will cost a fraction of the price of care at International SOS, for example. Embassy Medical Center is part of a faith-based charity, the Sihanouk Hospital Center of HOPE, which is working to rebuild Cambodia’s infrastructure and offer affordable care to Cambodia’s growing middle class. The center offers medical care for adults and children and has doctors training in internal medicine, women’s health, ENT (ear, nose and throat), and pediatrics. Care is provided by senior Khmer doctors, but expats go because there’s usually one or two American doctors on staff who will see clients for a fraction of the price charged by more expat-oriented clinics. International SOS is well known, but their care doesn’t always live up to their reputation. They offer a wide range of services at prices you’d expect to pay back home–they subsidize care for wealthy locals by charging expats significantly more. Their foreign doctors offer fairly good care, but horror stories abound about their local doctors, so we recommend avoiding them. Dr. Scott at Travellers Medical Clinic is another expat favorite in Phnom Penh. Dr. Scott, an Englishman, has been practicing medicine in Cambodia for more than 20 years and is popular with the older male expat crowd. He’s the doctor of choice for tropical and sexually transmitted diseases. Procare Medical Center is a new Phnom Penh clinic aiming to offer to offer French-quality healthcare at an affordable price. Their head doctor, Dr. Julie Thongsavane, is a general practitioner and a graduate of the Necker-Enfants Malades Hospital, the first pediatric hospital in the world (and where the stethoscope was invented). They also have a French midwife on staff. Appointments are reasonably priced at $40 for adults and $50 for babies. Also see Procare Medical Center and Khema Clinic and Maternity listed above. Dr. Anna Roslyakova is a Kazakhstani obstetrician and gynecologist who gets high marks from expats, who fondly call her “Dr. Anna.” She runs the Women-Baby’s Center, which offers a full range of OB/Gyn care, including pregnancy and childbirth classes. She is very direct and to the point, but she’s an excellent doctor and very knowledgeable. Dr. Michel Sebban of Cabinet Médical Francais is an English-speaking French family doctor who treats adults and children. He has a specialty in gynecology and obstetrics and is a favorite for prenatal care with those who plan to go abroad for childbirth. He also gets good ratings as a pediatrician from expats, who say he’s great with kids. Dr. Luidmila is a Russian doctor and pediatrician who has lived in Cambodia for more than 15 years. Her patients say she is very thorough and takes the time to explain everything. She is well regarded among expat parents for her work with children, but she also treats adults and gives vaccinations. We have a separate blog post on clinics and hospitals that perform abortions in Cambodia as well those offering family planning services. 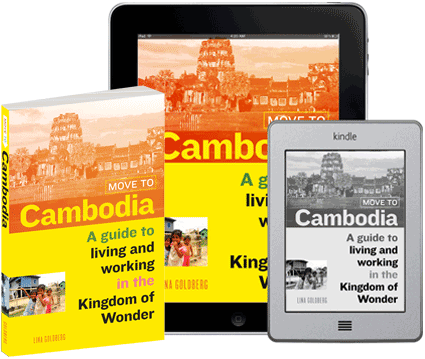 Living Well is an organization that offers a range of services, including counseling, workshops, pastoral care, and assessments for Cambodia’s expat community. Living Well is a Christian organization that focuses on offering services to missionaries and their families, but their qualified staff are able to offer completely non-religious services to those who prefer it. Prices are $25 per session and workshops are reasonably priced. Dr. Do Seiha is generally considered the best ophthalmologist in Cambodia. He trained in Russia and Australia and speaks fluent English. Dr. Seiha works at the Phnom Penh Naga Clinic during the day but sees patients at his private practice in the evenings after 5 p.m. Appointments cost around $10. Here are a few recommended opticians in Phnom Penh who make glasses, sell contacts, all of the usual stuff. You can buy contact lens solution at any of the pharmacies listed in the next section. All medications are sold over the counter in Cambodia, except for the few that aren’t available in the country at all. (Before you ask, that includes Adderall and Oxycontin.) Most medications are available in Phnom Penh, but if you have a prescription for something particular, it’s worth calling one the pharmacies listed below to make sure that they stock it. Because there are said to be lots of counterfeit drugs in Cambodia, it’s worth going to one of the reputable pharmacies. Happily, there are more and more of them these days. Longstanding Pharmacie de la Gare caters to expats and locals alike. 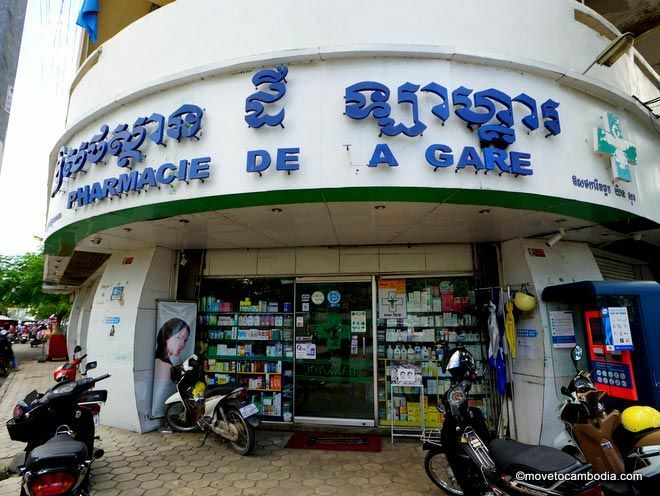 Pharmacie De La Gare in Phnom Penh has a good reputation with expats and offers quality products that are significantly less expensive than at U-Care. They sell authentic medications, including generics, from several countries, including France, the US, and India. Although we shop at Pharmacie De La Gare, we would recommend using caution when buying their products, because we’ve had questions about their sourcing ever since we saw them buying sealed bottles of vitamins from what appeared to be a homeless man. So check the packaging to make sure everything looks kosher when you buy there. Open Monday through Saturday, 7 a.m. to 8 p.m. and Sundays, 8 a.m. to 12 p.m.
U-Care has been around for years. 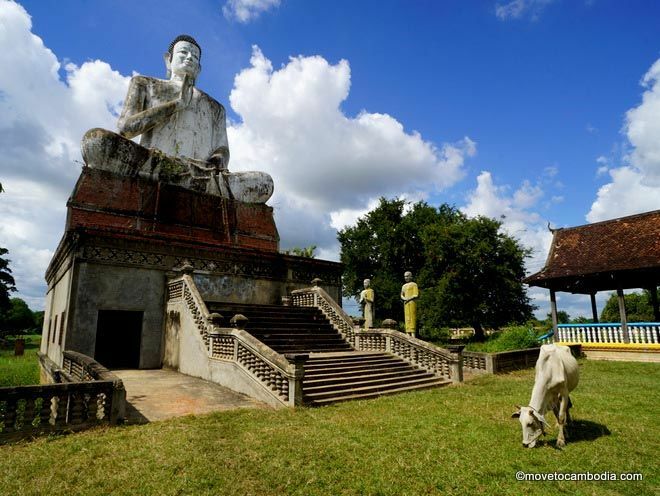 They have many locations all over Phnom Penh and offer a wide range of products. They have most medications in stock, but the prices are sometimes jaw-dropping. If you’re looking for a specific medication, make sure you’re talking to an actual pharmacist rather than a clerk, as the clerks will often say things are not in stock when they actually are. Be sure to ask if they have a generic, because they will always offer the more expensive name-brand product first. U-Care also has a nice range of toiletries and beauty supplies, including a selection of French cosmetics. Open daily, 8 a.m. to 11 p.m.
Western Pharmacy is run by a licensed US pharmacist. The Western Pharmacy chain was started by an expat and Cambodian-American Vireak Chea. He’s a licensed pharmacist in the US and decided to open a chain of pharmacies in Cambodia with trained pharmacists who offer free blood pressure and blood sugar screenings. The pharmacy also features a wide range of authentic medications. 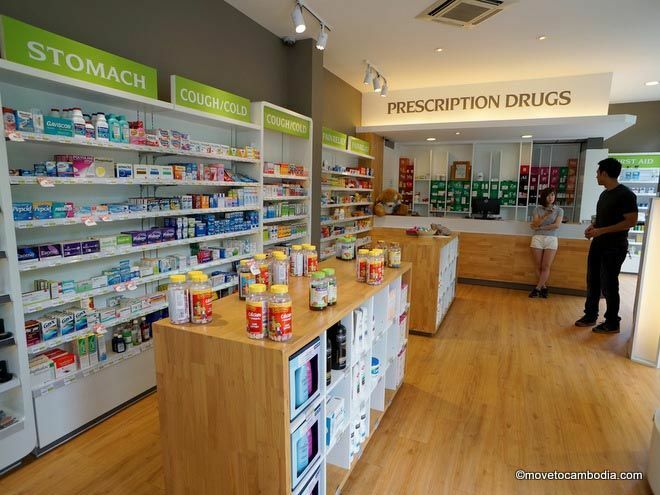 Direct from Singapore, Guardian Pharmacy is another new pharmacy in town. Its focus is as much on beauty products as on pharmaceuticals, and it’s a great place to pick up name-brand makeup and other beauty supplies. They have five locations, with more likely coming. Their flagship store is listed below. Open daily, 8:30 a.m. to 9 p.m. Your throne at Roomchang Dental. 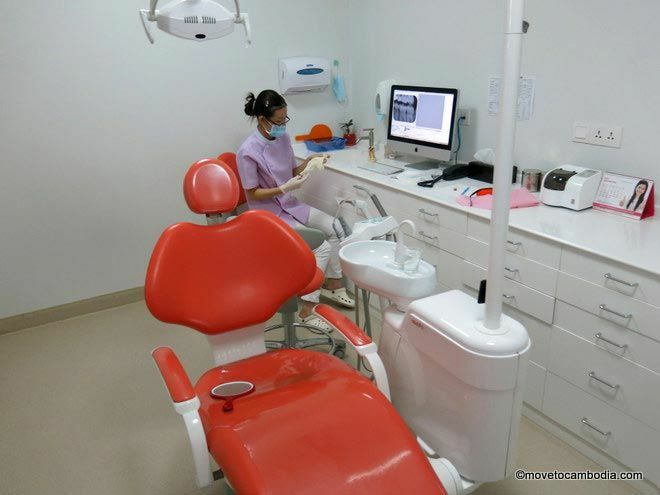 Roomchang Dental Hospital is a clean, modern Phnom Penh dental hospital (cleaner and more modern than anywhere I’ve been in the US or UK, in fact) that offers all kinds of dental treatments and dental surgery. The place is massive, with 36 treatment rooms and, they claim, 100 staff members. Roomchang wants to be a destination for dental tourism, and it’s not a bad idea because their prices are very reasonable: consultations are free, cleanings are $20 to $30, x-rays (which include a panoramic x-ray and bitewings) cost $20, and a filling is $20 to $30, depending on the severity of the cavity.